I make no secret of the fact that I hate washing my thick, problematic hair – and I hate drying it even more so. I try and book in for a blow wave when my wallet allows, mainly because the professionals take care of it a hell of a lot better than I do – and I get to have some much needed quiet time to boot. I like to drag that blow wave out as long as possible too, and the same goes with at-home washing efforts when my wallet won’t allow that extra trip to the salon. 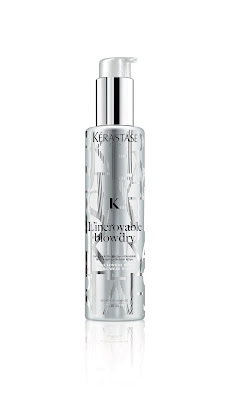 Anything that makes that last longer is also hugely appreciated, and the wonderfully named new L’Incroyable Blowdry by Kérastase Paris may just be my new best friend! It the latest offering to be added to the Couture Styling collection by the French haircare giant, and it takes the form of a new type of heat lotion that can help your blowdry last all week by providing optimal shapability and infinite options to style and restyle. This isn’t about the big, beautifully blow waved hair we’ve known before, but rather a softer, sexier version that feels as good as it looks. Think voluminous hair that is sumptuous and soft, rather than the usual sticky, crunchy, weighed-down locks of the not-too-distant past. The Kérastase Couture Styling collection was launched a few years ago now and is full of iconic styling products that merge “luxury and elegance to capture every woman’s unique beauty”. They meet the wide range of wants and needs of women and hairstylists worldwide, and include everything from a blow-dry gel to high-shine polishing serums and a dry shampoo. Like a tailor-made couture gown, every product was conceived individually - each formula is unique with a targeted styling action, thermo-protection and a refined skincare texture - and the range even has a signature fragrance that is subtle but still a statement, and I love it. Needless to say I got pretty excited at the thought of the new L’Incroyable Blowdry, which arrived at my door accomapnied by the most beautiful coffee table book about the art of a truly couture blow dry. The new product features what is called “Stimuli Responsive Styling”, reportedly the very first incarnation of patent-pending reshapeable microwax technology. Microparticles are stimulated by heat such as a blowdryer which locks in the hairstyle. The micro particles can then be reactivated without reapplying product for multiple restyling opportunities. Clever! 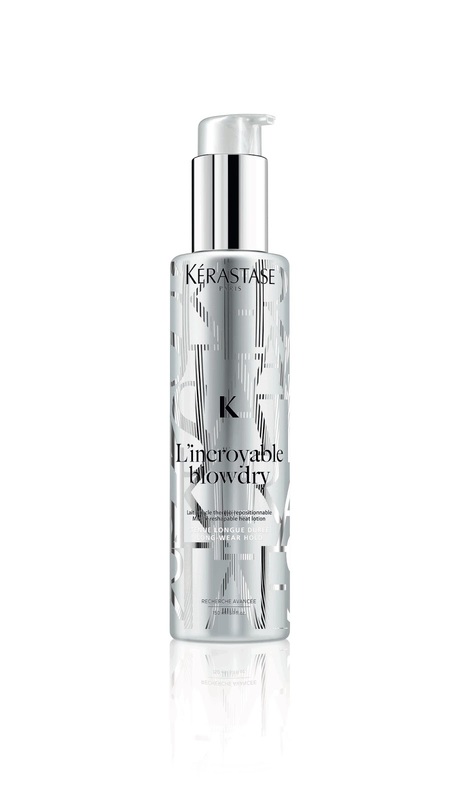 The brand has said L’Incroyable Blowdry is the supreme embodiment of the “Kérastase touch”: soft and never stiff, hair is luscious, infused with life and movement, all while delivering unprecedented styling power. Love it.